Water Garden Ltd are proud to announce the launch of their brand new website (www.water-garden.co.uk). In addition, a new Mobile version has also been launched to cater for landscapers on the move. Both websites are packed full of useful technical details, performance data, videos and downloads which are essential in selecting the right equipment for the end customer. Water Garden Ltd has been established for over 12 years and supply high quality pond, water feature and lake management equipment to private individuals, landscapers and garden designers. Our technical team are on hand to provide expert guidance and detailed quotations upon request. We fully understand the importance of obtaining the right equipment to satisfy, and exceed, the client’s expectations. Pond & Water Feature construction materials. UV Clarifiers and Surface Debris Skimmers. 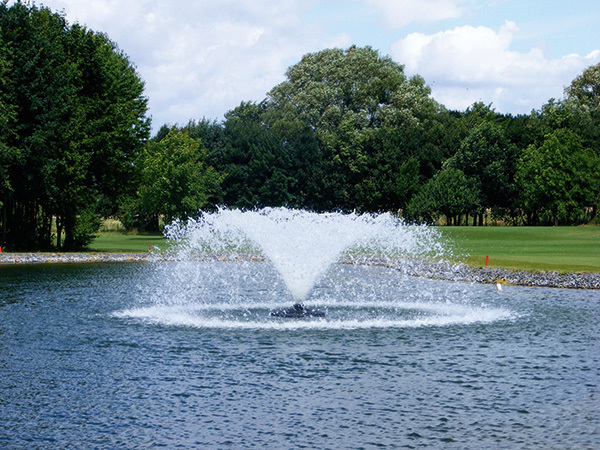 Lake Management equipment including Aerators and Commercial Fountains. Garden Water Features, Dancing Water and Cascading Water Blades. Decorative Fountain Displays including Interchangeable Nozzles & Spray Rings. 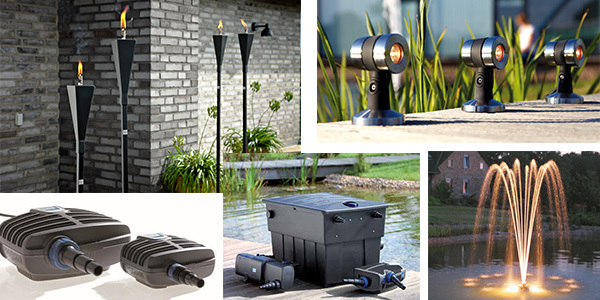 Garden & Underwater Lighting Systems. Pond Maintenance equipment & Vacuum Cleaners. Wide range of Flexible Hoses, Valves & Fittings. 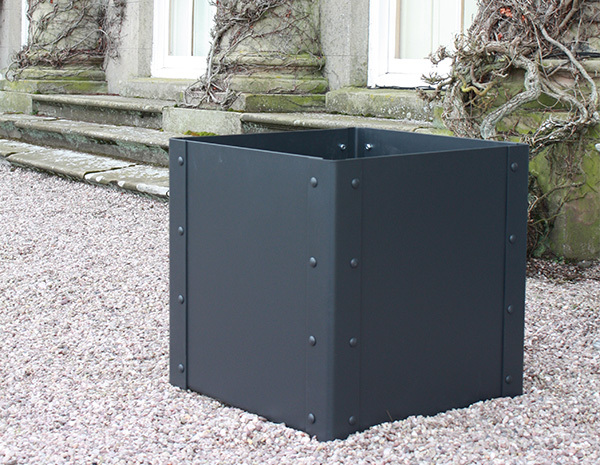 We ship throughout the UK and usually deliver on a next working day service, subject to stock.